The Professional Ambulance Association of Wisconsin is pleased to announce the 2017 Wisconsin Stars of Life. Each person was nominated by their local ambulance service, and will be presented with Stars of Life recognition and honors for their dedication and commitment. The Stars of Life celebration is the most rewarding and exciting Wisconsin event in our field and is modeled after the American Ambulance Association's National Stars of Life. 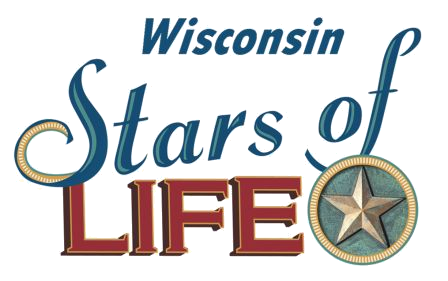 The 2017 event was the tenth time PAAW has proudly presented the Wisconsin Stars of Life program. This special event recognizes and honors the dedication of ambulance service professionals - people that stand out in every area of our field. 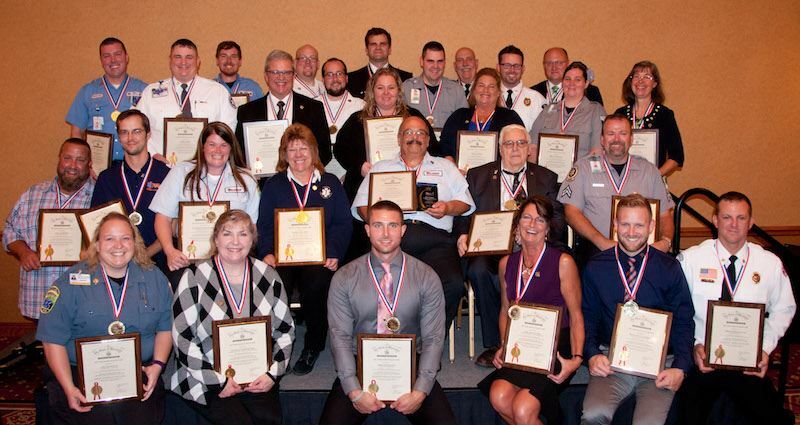 Stars of Life 2017 honorees were recognized at a series of events, to include a welcome reception, banquet dinner and awards program during the Paramedic Systems of Wisconsin Conference, Thursday, September 21, Green Bay, and in November at the State Capitol, Madison. David Mike of Paratech Ambulance, Milwaukee, was selected to attend the National Stars of Life program in Washington, D.C., June 11 to 13, 2018. PAAW will provide a $750 travel voucher, and the American Ambulance Association Foundation will provide a grant for hotel and event registration fees for the Star, Star's guest, and host (employer). The 2017 Stars of Life honorees were recognized during two events on September 21, 2017, in Green Bay at Tundra Lodge Resort and Conference Center. The program began with a welcome reception where each Star was introduced by their employer or family member. Words of appreciation, dedication, commitment, to include stories of heroism, were frequently shared. To mark the special occasion, each honoree received a gold Wisconsin Star of Life lapel pin. Next, came the dinner and awards program where each Star was recognized before an audience of 200 and formally presented Wisconsin Stars of Life honors. Each honoree was presented with a custom engraved medallion and framed certificate of appreciation from Governor Scott Walker. The dinner program was co-located with the Paramedic Systems of Wisconsin conference. The evening concluded with the announcement David Mike with Paratech Ambulance Service, Milwaukee, was selected to represent Wisconsin at the 2018 National Stars of Life event in Washington, D.C. The selection committee felt David's commitment to EMS and community touched every aspect in the suggested criteria for Stars of Life. Tami Aerts with County Rescue Services, Green Bay, was selected as the alternate 2018 National Star of Life. 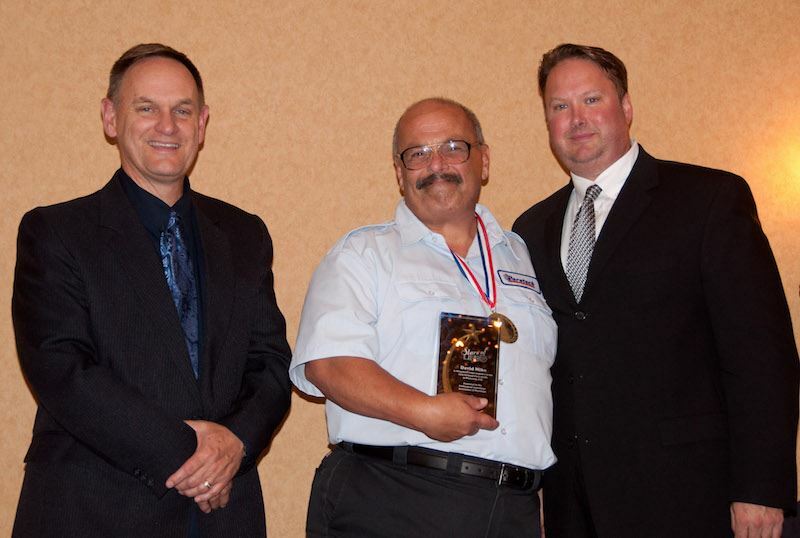 Photo insert, left to right, PAAW Vice President Larry Knuth, David Mike and PAAW President Patrick Ryan. To review the 2017 Stars of Life program booklet and biographies on each Star honoree, >> click here. On November 29, the 2017 Wisconsin Stars of Life had the opportunity to represent EMS at the State Capitol. The morning event brought together Star honorees for a welcome reception with legislators and Department of Health officials, as well as a meeting and photo opportunity with Governor Scott Walker in the Governor's Office. Brian Randall nominated by Gold Cross Ambulance, David Mike nominated by Paratech Ambulance, Kenny Monteith nominated by Tri-State Regional Ambulance and Jeri Schiffman nominated by Tri-State Regional Ambulance. Governor Walker shares words of congratulations and appreciation with the Stars of Life honorees during the Nov. 29 meeting.